In this world, there are many things that we must understand. Amongst those, what could be more important than understanding humans, the various conditions surrounding humans, and this world? Humanities is a field of study that aims to understand human existence, studies the methods of human communication, interprets the marks that humans have left behind, and researches methods of creating values in both the tangible and intangible human environments. It is in this context that humanities is called the fundamentals and the core of all study. Other branches of studies are generated and developed on the base of humanities. History clearly shows us this truth through the development of study both in the east and west. One effort to advance humanities, the core of all study, is the Initiative for College of Humanities’ Research and Education Project, a.k.a. the CORE project. The College of Humanities at Seoul National University has been an exemplary participant in this national project since 2016. Through this project, SNU College of Humanities promotes insight in humanities in students from 16 departments and works to contribute to the development of the study of humanities in Korea. SNU CORE project has adopted a model that encourages fundamental academic enrichment in order to cultivate superb scholars within the humanities. CORE Master's, CORE Bachelor's, and CORE preparatory programs have each been established. Each academic department has selected outstanding scholars from students currently enrolled in degree programs, starting with sophomores all the way through Master's. And SNU CORE has been providing the following supports and assistance for the selected scholars: CORE academic support (an academic support fund), the improvement of outstanding scholar independent research capability (domestic and overseas academic conference participation support, publication fee support, guest lectures conducted by distinguished scholars, etc. ), honors programs (support provided to encourage the development and writing of a top-notch graduation thesis), and more. 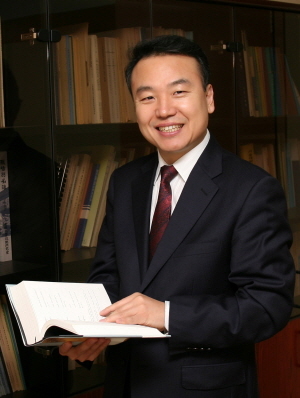 Together with the foundational academic enrichment model, SNU has also ventured to establish its own model and started one integrated program (Comparative Studies for East Asian Humanities) and three interdisciplinary programs (Data Science for Humanities, Classics and Philology, and Philosophy, Politics and Economics). Through the creation of these majors, our aim is to advance the creation of new fields of study by tearing down the wall between branches of learning and to produce an interdisciplinary fusion. While carrying out university’s natural role to preserve the core values of the humanities, SNU CORE also endeavors to satisfy newly arising academic needs with the changes of the times. Here at the College of Humanities at Seoul National University, with the cooperation with the Initiative for College of Humanities’ Research and Education, we aim to support talented students so that they will contribute to the promotion of humanities in this country. We appreciate and look forward to your support and cooperation.